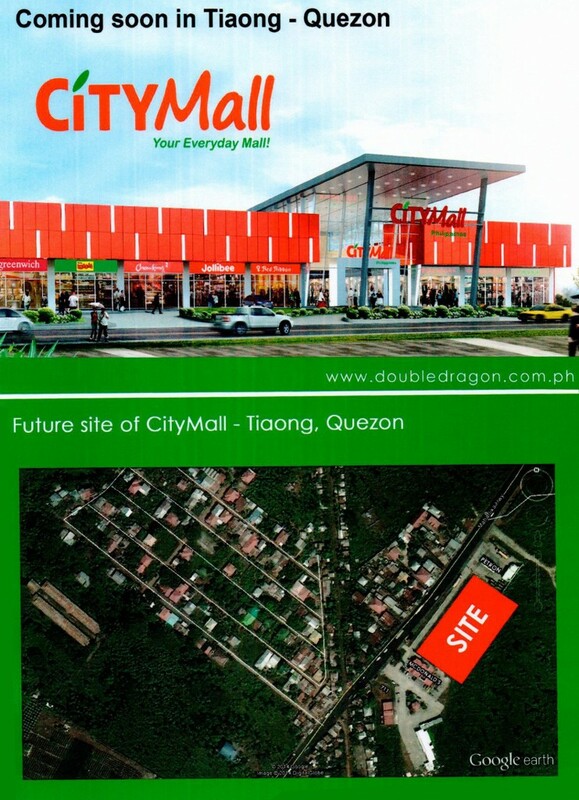 MANILA, Philippines — Property developer DoubleDragon Properties Corp. is building a community shopping mall in Tiaong, Quezon, under its “CityMall” chain, having secured its 12th shopping mall site in the country. In a disclosure to the Philippine Stock Exchange on Monday, DoubleDragon said its flagship subsidiary CityMall Commercial Centers Inc. (CMCCI) has signed a 26-year long-term lease for a prime commercial lot with a footprint of 8,000 square meters within the “Tagpuan sa Villa Escudero” complex along Maharlika Highway in Barangay (village) Lalig in Tiaong. Maharlika Highway was described as one of the country’s principal transport backbones and the primary access to Lucena and other major neighboring towns in Quezon province. With the construction of a CityMall in the area, DoubleDragon said the complex would become a stop-over place for travellers and motorists traversing the Maharlika Highway. “The development of a CityMall in the area will provide convenience to new and existing residential subdivisions nearby and will also cater to local and international tourists visiting and enjoying the scenic beauty of the historic colonial plantation of Villa Escudero Plantations and Resort,” the disclosure said. DoubleDragon is building an inventory of a million square meters of leasable space by 2020 by creating this chain of community malls under the “CityMall” brand alongside other commercial and office developments. CMCCI is a 66-percent owned subsidiary of DoubleDragon while Henry Sy-led SM Investments Corp. is a strategic partner with a 34 percent stake. The “CityMall” chain is envisioned to become one of the largest branded community mall networks in the Philippines with floor areas of about 5,000 to 10,000 square meters in each location.